In his address to the congregation, His Eminence gave thanks to God for the work of the College in the Antipodes and its vital contribution to the service of the Church and the broader community for over 30 years. He acknowledged the highly valued efforts and collaboration of so many people of good will, both Orthodox and non-Orthodox alike. He described the College’s long-standing membership of the Sydney College of Divinity (SCD) as a particular blessing and warmly greeted Mr Peter King, President of the SCD Council, Professor Diane Speed, current Dean and Chief Executive Officer of the SCD, Professor Jim Harrison, SCD Director of Research, and the SCD Academic Director, Dr Peter Bolt. After thanking all of the staff for furthering the good work of the College, he also expressed his deep gratitude to all donors and supporters, in particular to the family of the last Kostoula Tsabalas, a tireless and long-serving volunteer of the Greek Orthodox Church in Kogarah, who had established a Memorial Prize in her honour for the most exemplary student in the Bachelor of Theology program. His Eminence was pleased to announce that the inaugural recipient of this prize was Nick Georgiou. 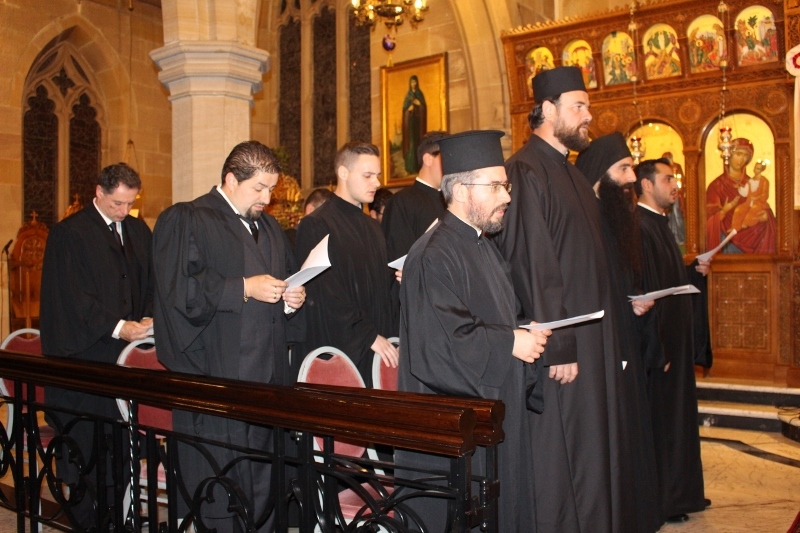 Honouring this important occasion with their presence were His Grace Bishop Seraphim of Apollonias, College Sub-Dean; other distinguished guests and colleagues from within the SCD and its Member Institutions; as well as Reverend Clergy and Archdiocesan Council Members. Undergraduate and postgraduate awards were bestowed, as noted below. 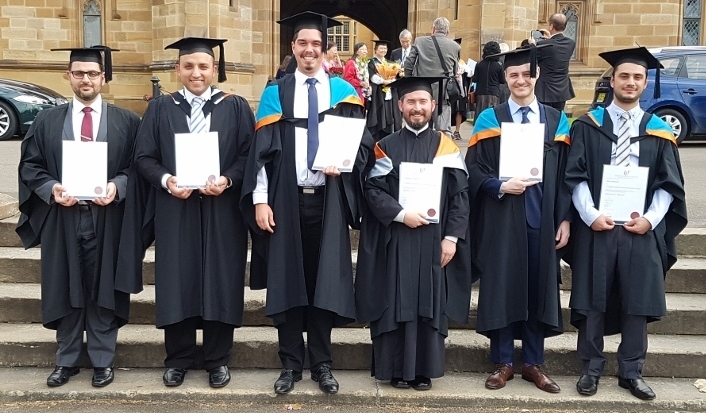 Graduate Certificate in Arts: Presbytera Irene Adamakis in absentia (VIC), John Daher (NSW), Christopher Nicolopoulos in absentia (NSW), Peter Simos in absentia (QLD), and Bernard Toutounji (NSW). 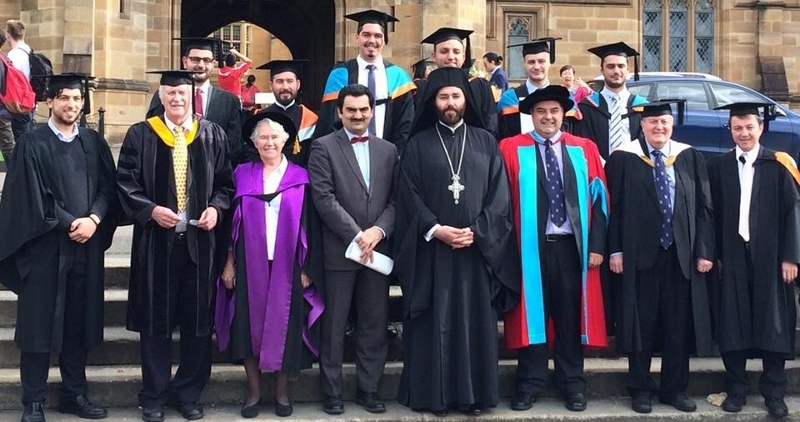 On Saturday 21 May, some of the aforementioned graduates were also present at the Sydney College of Divinity Graduation Ceremony, which brought together approximately 500 attendees and distinguished guests, including the Consulate General of Greece in Sydney, Dr Stavros Kyrimis. Here, in the Great Hall of the University of Sydney, along with approximately 100 other graduates from the fellow member institutions of the SCD, they were conferred their respective degrees and awards by Mr Peter King. The Occasional Address was delivered by Professor Alanna Nobbs, President of the Society for the Study of Early Christianity within Macquarie University. The latest group of graduates brought to 151 the total number of graduates – receiving 181 SCD degrees and awards at various levels, but primarily the Bachelor of Theology – since St Andrew’s opened in 1986.